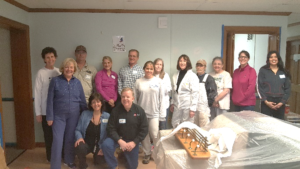 Members of the Dulles Area Association of REALTORS® (DAAR) demonstrated their commitment to community service by lending their time and talents to helping transform Leesburg’s Loudoun Abused Women’s Shelter (LAWS). 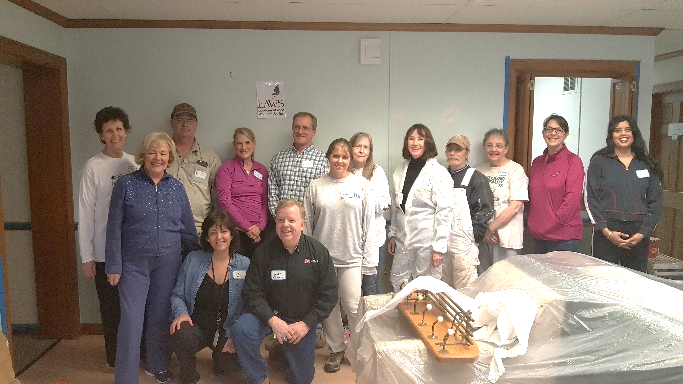 Almost 50 DAAR members and their families and friends participated in a three-day painting event over the weekend of February 17-19, 2018. Combined, they provided almost 300 painting hours. LAWS, founded in 1984, provides counseling, advocacy, support groups, legal services, emergency shelter, and support to victims of domestic and sexual violence completely free of charge. Over 1,000 clients came into their offices last year to meet with attorneys and counselors. However, the offices haven’t received a fresh coat of paint since the year 2000. 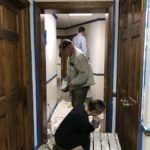 Led by Weatherwax and DAAR Community Services Committee Chair, Brenda MacEoin, DAAR members painted hallways, offices, and most importantly, the reception area. “DAAR transformed the space to be so inviting and welcoming for clients and staff alike,” said Judy Hanley, Executive Director of LAWS. DAAR sponsors and supporters made this three-day event a success. 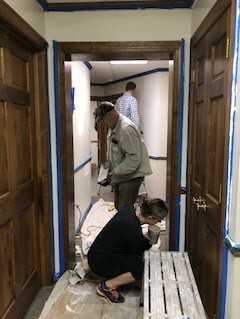 Thank you to Vini Short and DeShong’s Gift Back for providing paint and other supplies, Debbie Hafer of JK Moving Services for providing lunch and refreshments, Rick Hafer of Home Renovation for his assistance and insights, and Dunkin’ Donuts in Purcellville for providing breakfast treats! The Dulles Area Association of REALTORS®, founded in 1962 and serving over 1,400 REALTOR® and Affiliate members, works to safeguard and advance the mutual interests of the public, property owners, and real estate professionals for real estate-related matters. DAAR has donated over $300,000 to local charities since 1992 and looks forward to continuing this tradition of giving back to the community. For questions or additional information, contact Beth Fischel, Member Services Manager, at (571) 291-9801 or bfischel@dullesarea.com.